This weeks swim clinic will focus on body position in the water. We will be working on using the swim snorkel. What are you working on? When a swimmer first puts on the swim snorkel it may take a bit of adjustment. Pushing off the wall is a bit more challenging as it can flap around as you come to the surface and blasting out air as a whale does out of a blowhole might seem a bit strange, but the benefits of the snorkel are worth all the adjustments. The snorkel allows the swimmer to keep their head in the proper position, looking down at bottom of pool. When the head stays still and is not lifted to breath the hips stay high and the stress is lifted from the lower back. If the swimmer has a weak kick it enables them to keep their feet up towards the surface and not swim like a “mermaid.” A lot of swimmers I work with have tight backs. They tend to crossover in the entry of their stroke. The snorkel allows them to have a wider entry because their head is calm and still. 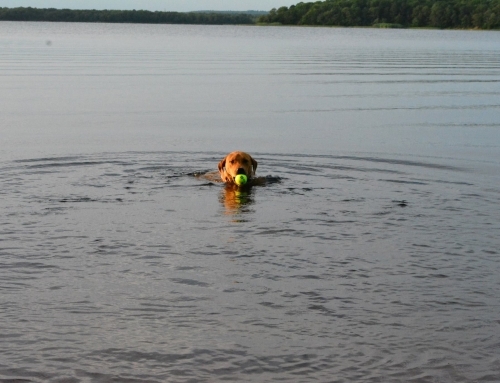 Here are some advantages of training with a swim snorkel. There is no side breathing so your stroke Is more balanced. 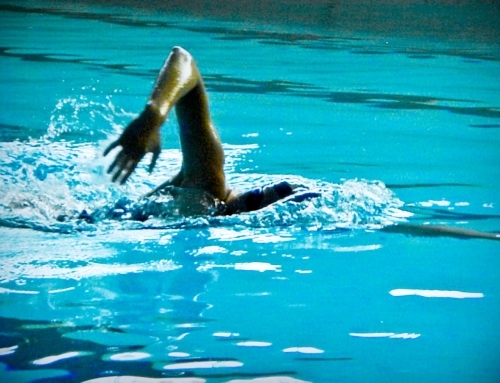 Being able to turn your arms over quickly means a smoother stroke and more velocity across the pool. The swimmer can work both sides of the body, and avoid overloading one of their shoulders. 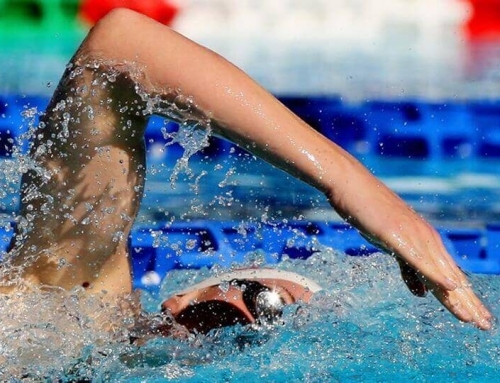 Swimmers tend to lift their heads while swimming freestyle. The snorkel will encourage the swimmer to keep their head down. It will not completely remove the need to look for the wall, but it will encourage you to look down. 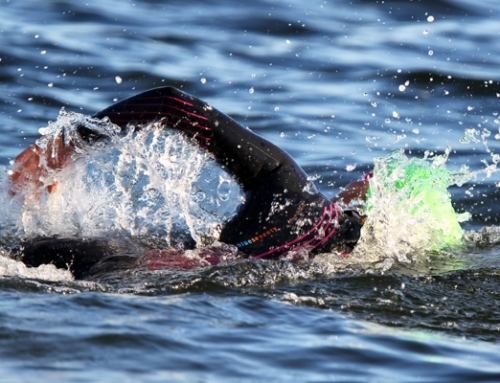 One of the most important aspects of swimming is keeping a straight body line in the water. This includes keeping a straight head. 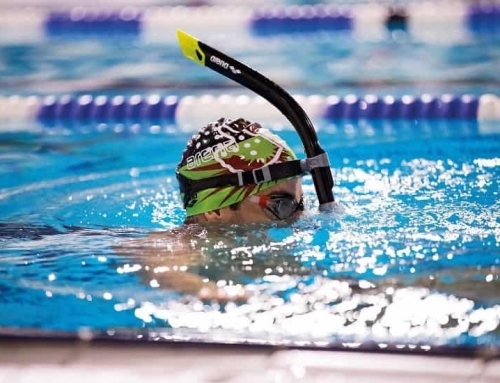 For the swimmer who rocks their head from side to side while doing freestyle, the snorkel will reinforce a straight line from the top of the head to the ankles. The snorkel also instills propulsion coming from the rotation of your hips and shoulders, and not your head. A lot of swimmers either open their legs or cross their ankles when they turn their heads to breathe. This momentarily halts the flutter kick. By using the snorkel, the swimmer can feel the proper flutter kick with no fish-tailing that stops your kick cold. I love kick sets, but they do not encourage the best body position in the water. It removes the ability to kick while engaging shoulder and hip rotation. When using the snorkel to kick the swimmer can leave their hands by their sides and simulate the rolling motion of the shoulders and hips. Finally, the use of the snorkel will allow the swimmer a better feel for the water. Focus can be on the mechanics of the stroke, smoother arm rotation, and body position. When the snorkel comes off, hopefully, that feeling will stay!